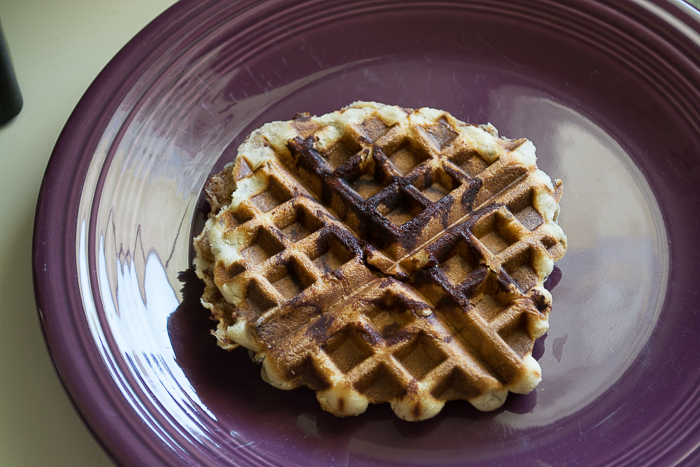 Looking for a stunning and delicious, but lazy and quick vegan breakfast idea? 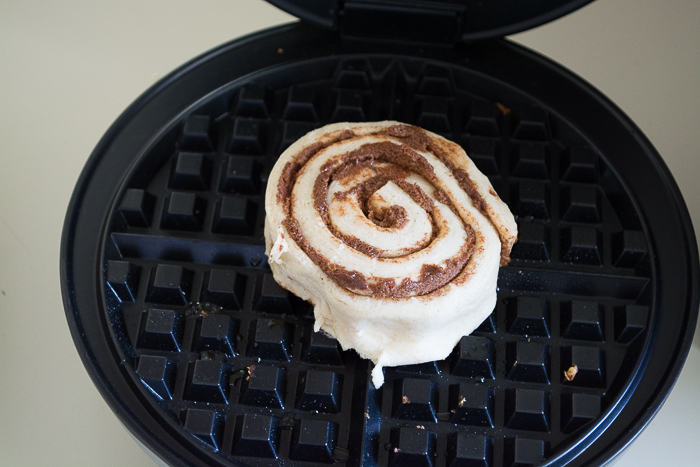 Look no further than these one-ingredient cinnamon roll waffles. One can of Immaculate’s cinnamon rolls. I love this brand because I don’t know of another. They are at Safeway and our co-op. They don’t contain high-fructose corn syrup or hydrogenated oils. And, they happen to be vegan! 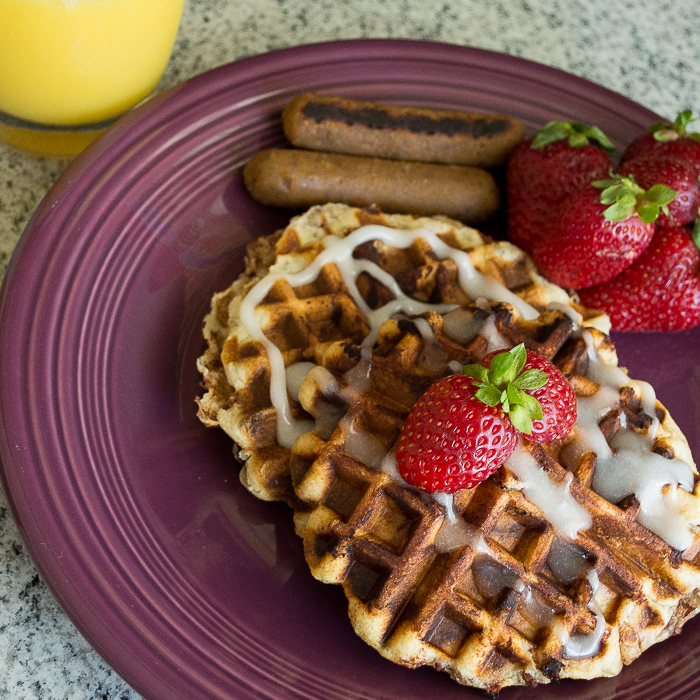 Looking to add to the breakfast array? 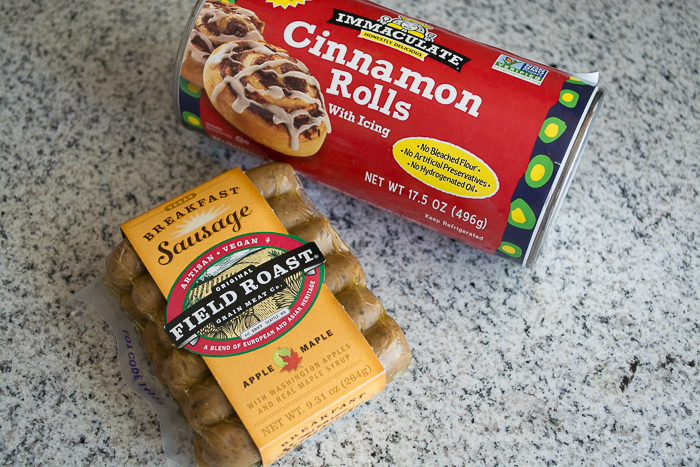 Try Field Roast apple maple breakfast sausages as well as fresh strawberries for a pop of color. It looks like the real deal to me! Drizzle with included icing or maple syrup. 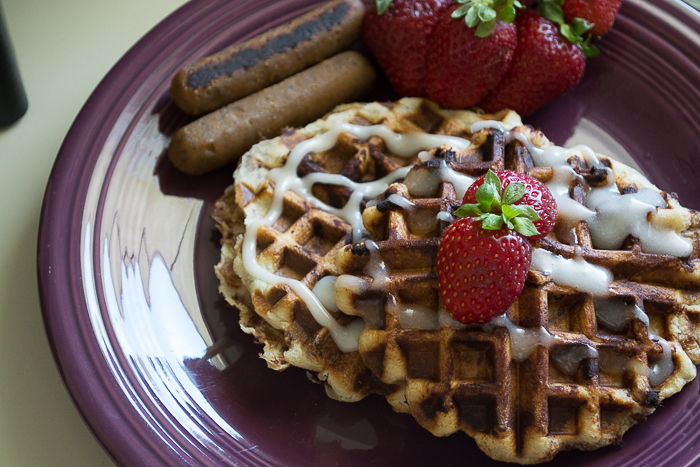 Do you have a favorite easy waffle recipe? What fruit goes well with cinnamon? Tells us your thoughts below. Press Publish Blogging Conference Comes to Portland!